then click Claim Your Bonus. Embracing the End of Life: A Journey to Dying and Awakening 16 guided meditation videos by Patt that employ color, sound frequencies, binaural beats, and visualizations and are designed to accompany her new book. Heal Your Mind, Rewire Your Brain Audio Meditations six guided audio meditation sessions by Patt with binaural beats and original music that create a powerful experience of deep relaxation, creative insight and spiritual revelation. From Donna Eden with David Feinstein, Ph. 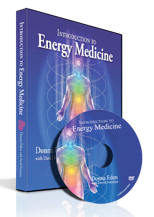 D.
Based on a live class, this 2-hour video shows one of the most dynamic teachers in the health field joyfully presenting the concept of Energy Medicine along with many of its basic principles and procedures. Learn how Energy Medicine can restore and maintain your vitality via specific instructions that show you many of the field’s most potent techniques. We feel this is the best single introduction to Donna’s work we have produced. It is certainly the program to give to a friend, a colleague, a family member, or a health care professional who is new to or even skeptical about Energy Medicine, but is open to seeing more. Inspiring, it is also a great refresher for more advanced students and a great introduction for just about anyone. 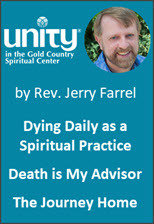 Death as a Daily Spiritual Practice, Death is My Advisor and The Journey Home audios with Reverend Jerry Farrell, Unity minister and former hospice chaplain shares profound insights on death and dying in three half hour audio MP3s. 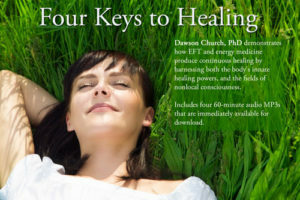 The Four Keys To Healing demonstrates how EFT and energy medicine produce continuously healing by harnessing both the body’s innate healing powers and the fields of nonlocal consciousness; includes four 60-minute audio MP3s that are immediately available for download.